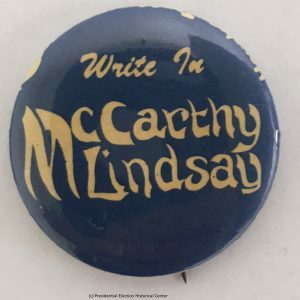 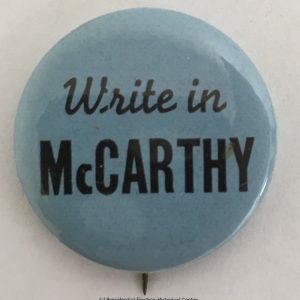 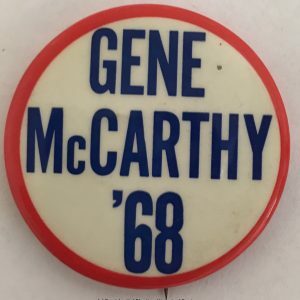 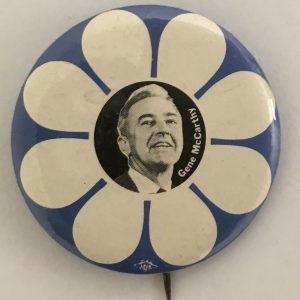 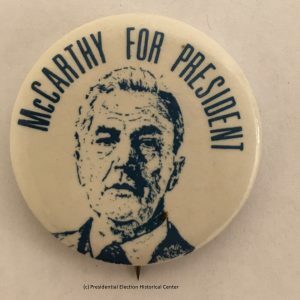 The Eugene (Gene) McCarthy presidential campaign of 1968 was launched by Senator Eugene McCarthy of Minnesota in the latter part of 1967 to vie for the 1968 Democratic Party nomination for President of the United States. 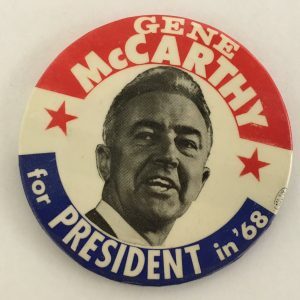 The focus of his campaign was his support for a swift end to the Vietnam War through a withdrawal of American forces. 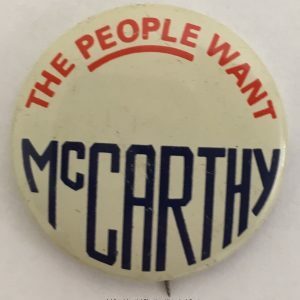 The campaign appealed to youths who were tired of the establishment and dissatisfied with government. 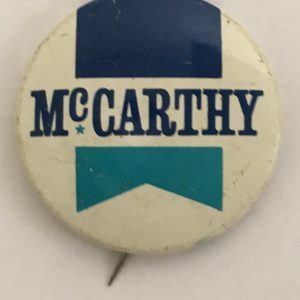 Early on, McCarthy was vocal in his intent to unseat the incumbent Democratic President Lyndon B. Johnson. 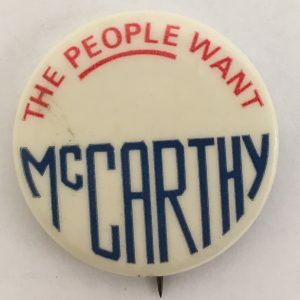 Following McCarthy’s 42% showing in New Hampshire, Senator Robert F. Kennedy (D-N.Y.) entered the race. 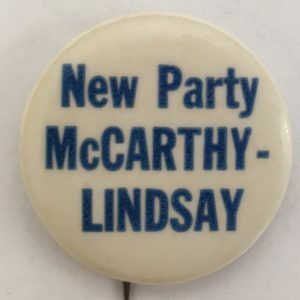 Kennedy’s entrance forced President Johnson to withdraw. 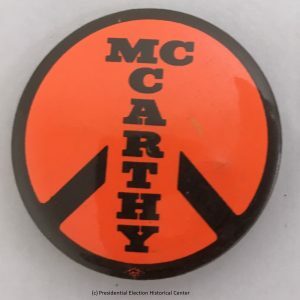 After Johnson’s withdrawal, Vice President Hubert H. Humphrey entered the contest but avoided the primaries. 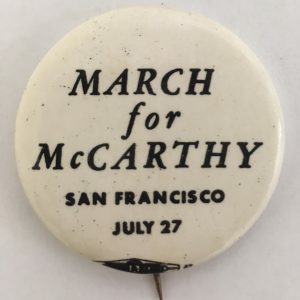 Despite winning the popular vote, McCarthy lost to Humphrey at the convention amidst protests and riots.